SHTF PVC Patch | BUDK.com - Knives & Swords At The Lowest Prices! What will you do when SHTF? 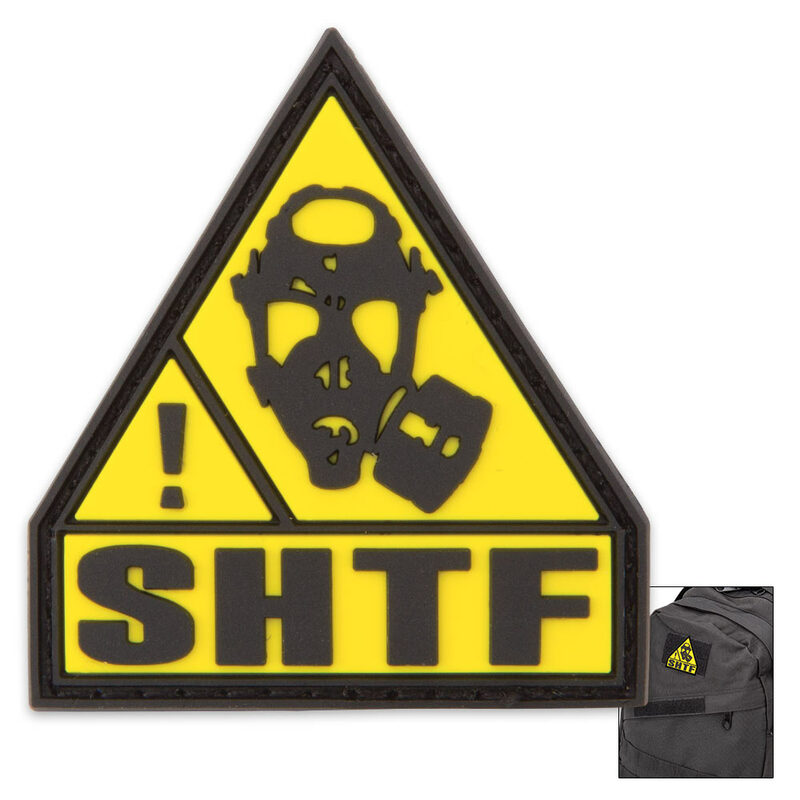 Ride out the apocalypse in style with this cool SHTF Survival Club patch, which features a vibrant yellow color scheme and wicked, post-apocalyptic gas mask graphics. 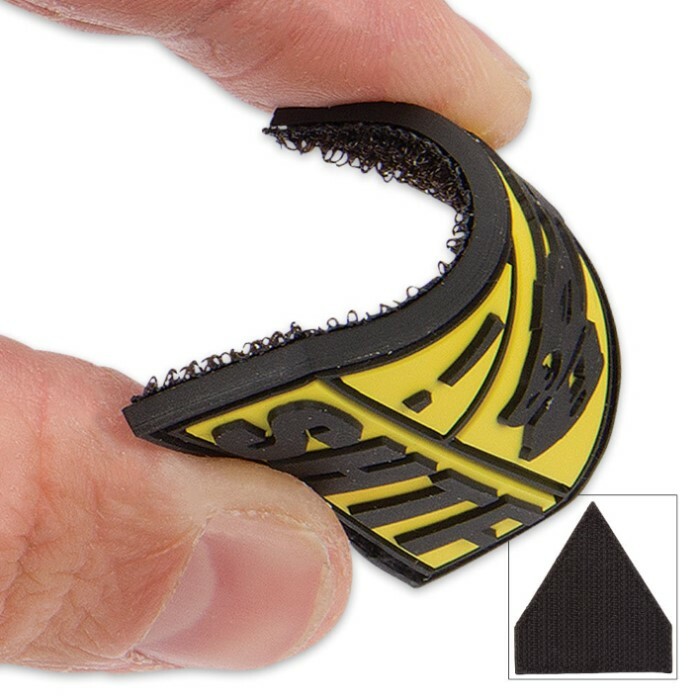 Made with resilient PVC, this tough patch won't tear, even in the heat of battle or when wet. 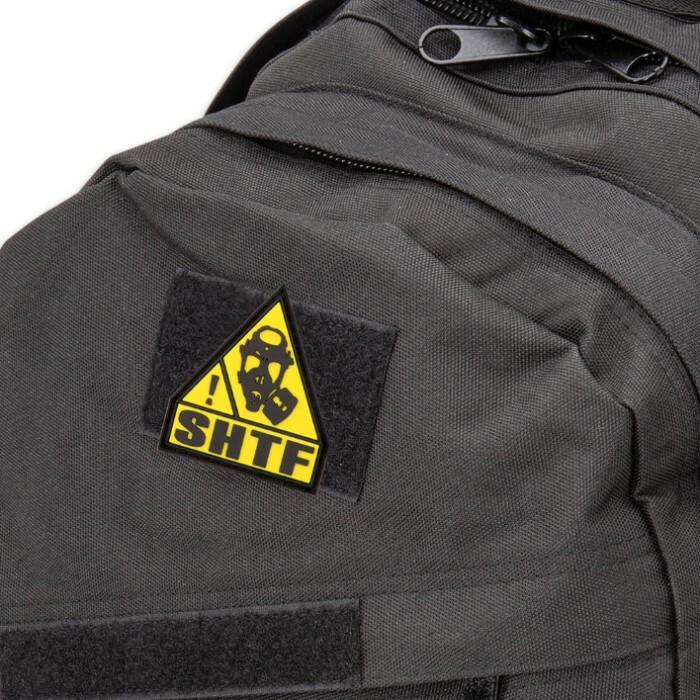 Attention to detail yields precise lines and crystal clear imagery, and brilliant, fade resistant inks ensure the SHTF patch stays eye-catching and bold for years to come!